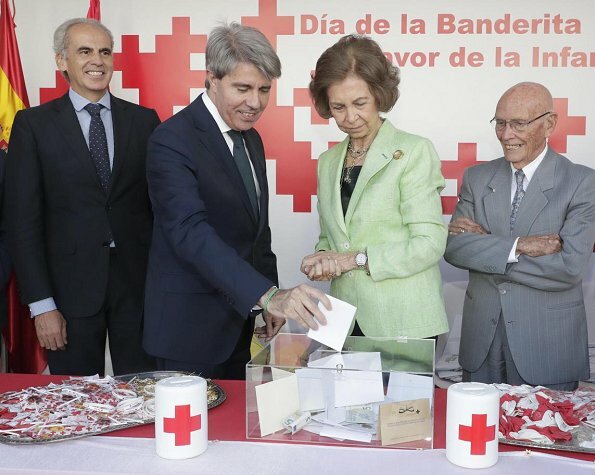 On October 5, 2018, Queen Sofia attended the traditional "Banderita Day" held by Spanish Red Cross at Madrid Puerta del Sol Square. 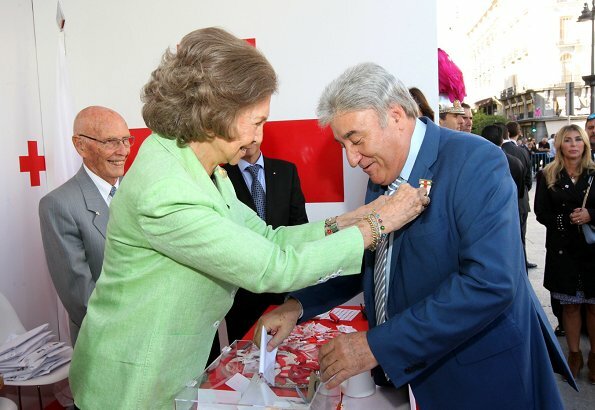 The Royal Family regularly attends Red Cross World Day every year. 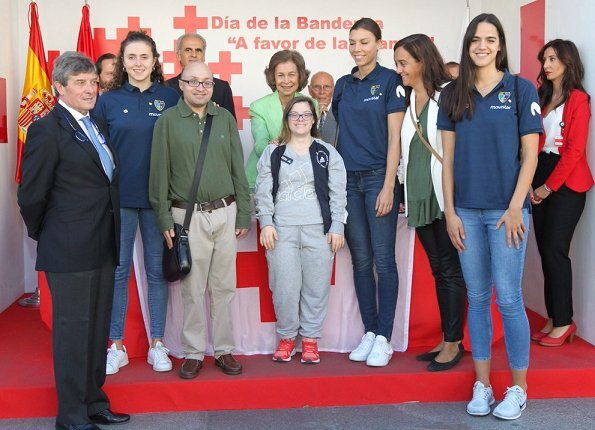 On the same day, Queen Letizia attended a fundraising event held for the benefit of young people at the headquarters of Red Cross. 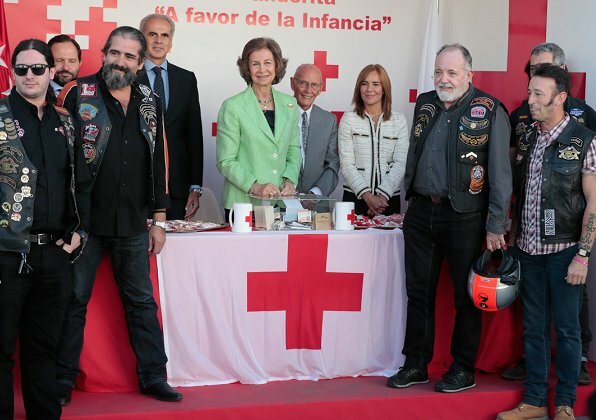 Queen Sofia's fundraising event bears the slogan of "Di sí a la infancia" and aims to satisfy vital needs of children when they are defenseless. 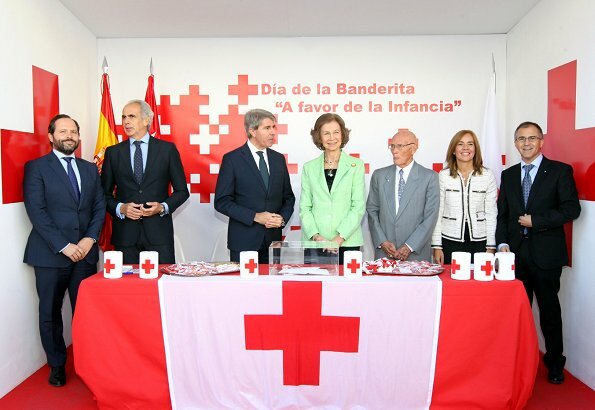 Spanish Red Cross supports various programs and projects which aim to support children and their families. 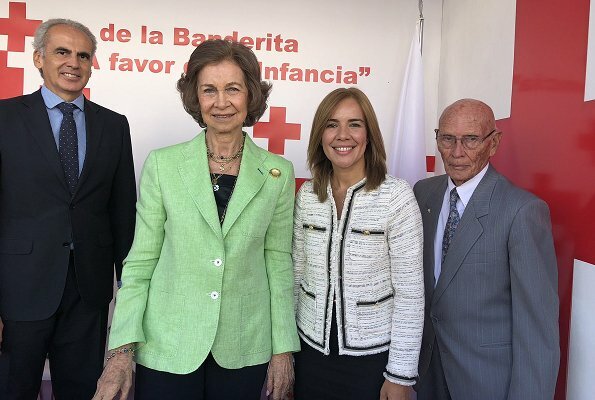 I admire Queen Sofia, but I think this match of colours don't fit very well. Classy woman who always fulfils her task with a strong sense of duty, commitment and dedication. I don't think black pants and shirt look too bad with the light green blazer. I think she looks very good - I like the pop of the screen against the darker colours. The jacket is simple but stylish. Love the boots - hope I'm still wearing heels like that with as much panache when I'm nearly 80. She looks great, love the pop of color, nothing better than apple green to liven up a black outfit. 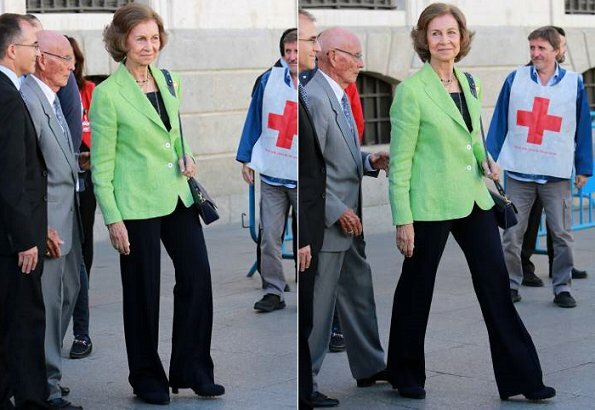 Splendid figure for a woman her age.